Recipe Developer at What's For Din'? We all crave Mexican food from time to time, but sometimes the cuisine can be a bit heavy. 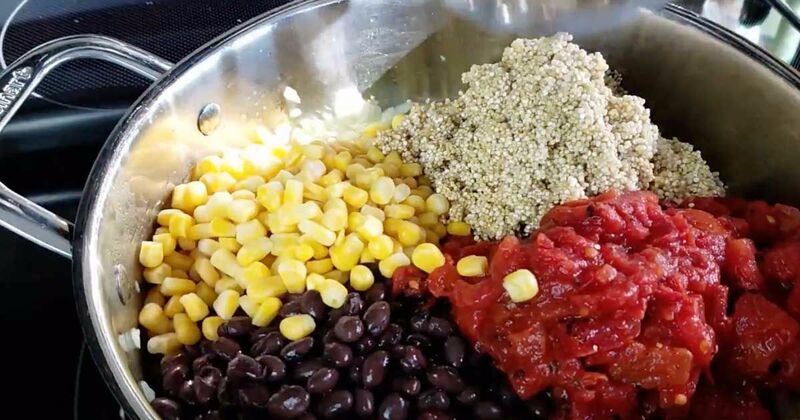 That's why this healthy quinoa recipe is so perfect: it scratches the itch for Mexican food without any of the guilt associated with greasy burritos! The best part? You can whip up this delicious vegetarian meal in one pan and it only takes 30 minutes! 1. Heat olive oil in large skillet over medium high heat. Add onion, garlic, and jalapeno and cook until softened. About 2 minutes. 2. Add black beans, tomatoes, corn, quinoa, vegetable broth, chili powder, cayenne, cumin, and lime juice. Season to taste with salt and pepper and stir. 3. Bring to a simmer and reduce heat to medium low. Simmer for 20 minutes with the lid on stirring occasionally. 4. Serve with diced avocado and fresh parsley. There you have it! 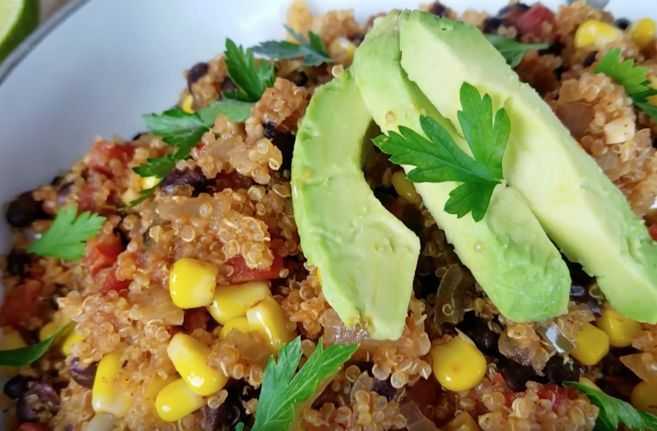 Delicious, vegetarian Mexican quinoa that only takes a half hour to whip up! These stuffed squash recipes are amazing! Even if it’s not Easter, this simple but delicious savory pie is sure to impress and please any crowd; after all, it’s full of cheese! These peanut noodles are super-easy to make with pantry staples.